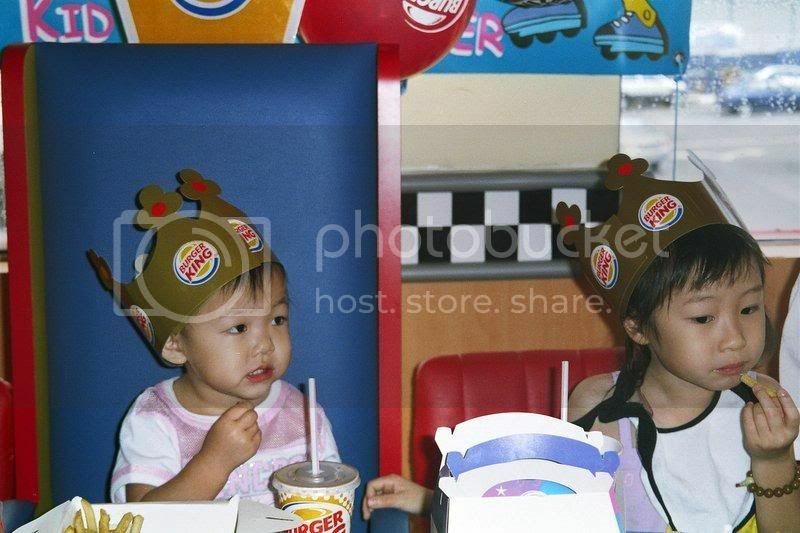 We celebrated Princess’s birthday at Burger King, USJ Taipan. Ordered a Barney cake for her. 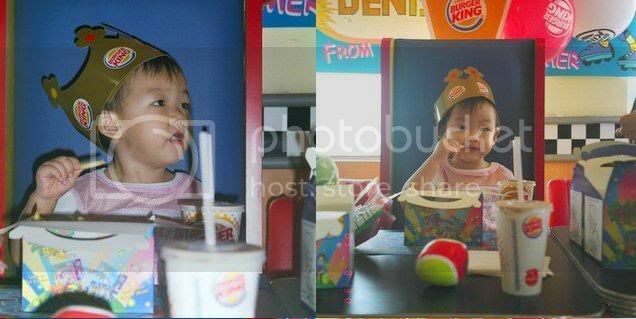 She was dressed in a pair of shorts and a t-shirt that says “Princess” .. looking so grown-up. She’s got lots of gifts. Yee Ma bought a mini stroller with a musical baby doll. Yee Yee bought a Sesame Street alphabet toy box. 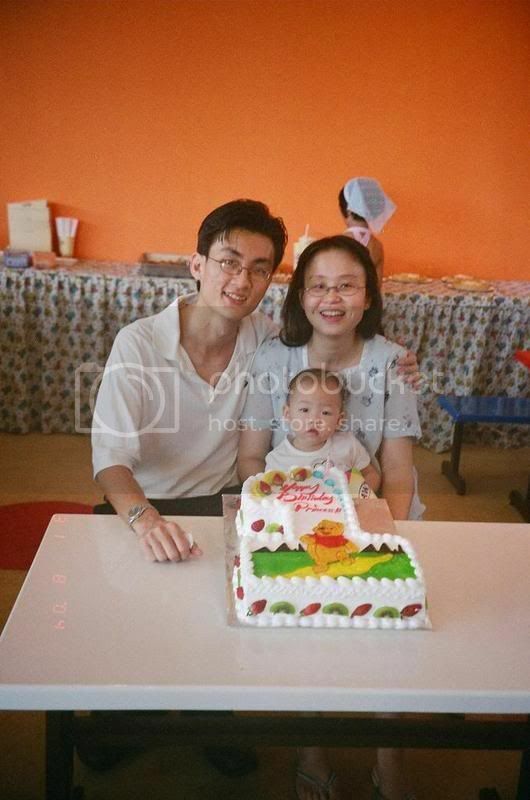 Aunty Ng from nursery made her a nice jelly cake and a fisher-price caterpillar toy. Mommy and Daddy bought a mini motorcar and a doctor playset. Uncle Bernard bought a TY Beanie. 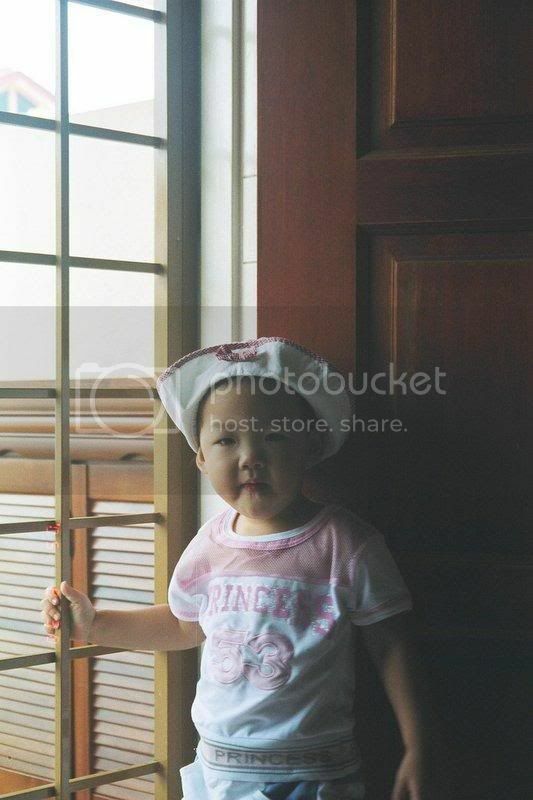 Uncle Chong and Aunty Chris bought an Elmo handpuppet. 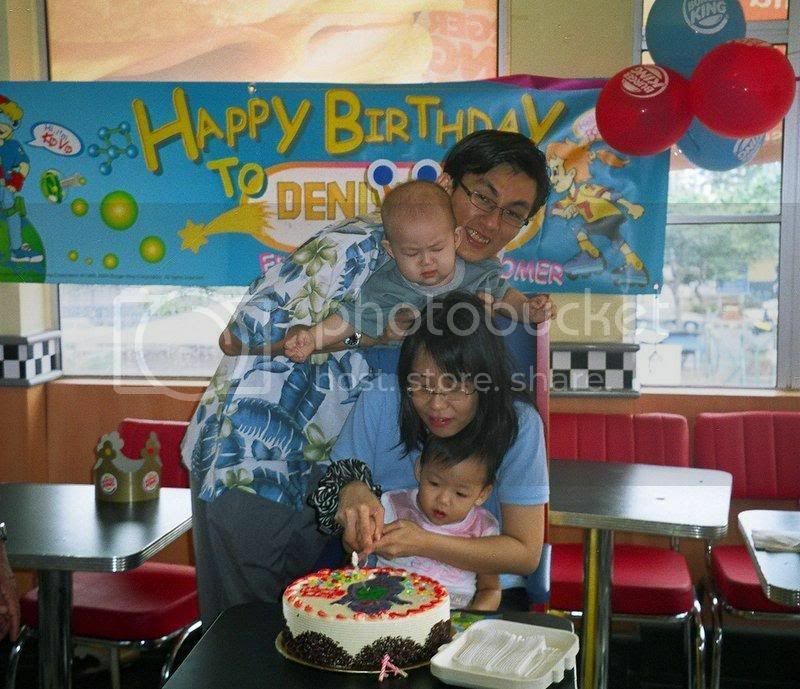 We celebrated Denisha’s 1st birthday at A&W Subang Jaya. 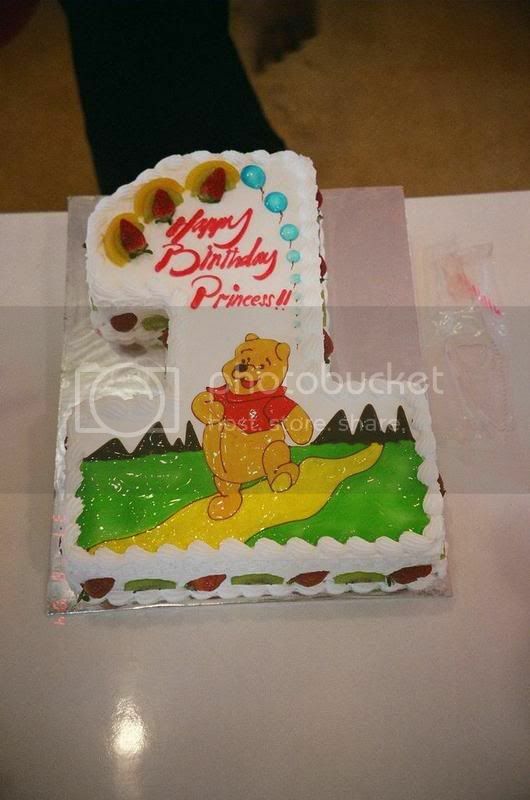 Bought a “Pooh” cake from King’s Confectionery. She was so afraid of the bear and the crowd there. I guess that’s the behaviour of toddlers. We had to carry her most of the time.